The author’s eldest five children. Photo credit: Sean P. Lambert St. Marie. A few years ago, some of my children started noting that when we attend my father’s family reunions they are “the only brown people there,” and that’s almost true. My dad is the eldest of thirteen siblings in a family of French Canadian heritage hailing from northern Vermont. Two of my thirty-seven surviving first-cousins have partial Puerto Rican heritage. Another cousin has a Latina partner, and they have a baby girl. And, two other kids in my children’s generation self-identify as multiracial with a quarter-Black heritage, though they are nearly always perceived as White due to their physical appearance. Otherwise, yes, my kids are “the only brown people” at the Lambert family reunion each year. “It’s kind of weird,” said my twelve-year-old son, Stevie, who is Black, this summer. One of the reasons I decided to have as many kids as I do (as of this writing I have six children, four of whom are adoptees, and I am pregnant with my seventh, and last, child) is that I wanted my children of color to grow up with the shared experience of being parented by White people and raised in a nearly all-White extended family. I hoped their sibling bonds would help mitigate any sense of racialized isolation or otherness they might feel within our family, no matter how welcoming and loving their White relatives might be. I think the fact that some of them have begun talking about our extended family’s lack of racial diversity underscores the value my kids place on the diversity in their day-to-day lives. Their public schools, our neighborhood, and our social circles include people of color, and I know this is all crucial to their sense of belonging and to their healthy racial identity development. But while I had an active role in cultivating those aspects of our lives, the extended family in which my children live is, of course, not something over which I have control. The author’s sister and soon-to-be brother-in-law, photo provided by the author. 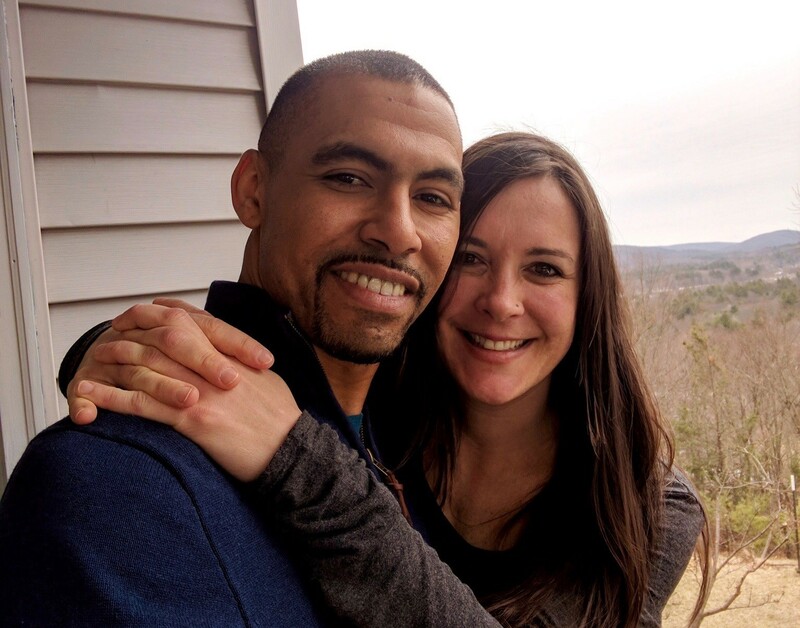 When my sister announced she was engaged this year, my kids immediately noted that her impending marriage means they will soon have an uncle who is “brown like [them].” My sister’s fiancé, like two of my children, is biracial with Black and White biological parentage. And, like four of my kids, he’s a transracial adoptee, though his story, unlike theirs, doesn’t involve the foster care system since he was adopted and raised by biological extended family members who are White. Although it’s cliché and potentially pretty rude to ask when a newlywed (or in their case, newly-engaged) couple will have children, I didn’t fault my 13-year-old Puerto Rican daughter, Emilia, when she asked me when they would have a baby so that, in her words, she’d “have a new cousin who’d be another brown kid in the family.” I reminded her that such a decision is private and said I didn’t know what they planned on that front, but I affirmed how nice it would be if that were to happen. “And then, when we all grow up, if we have kids, there will be even more of us at the family reunion,” she said. 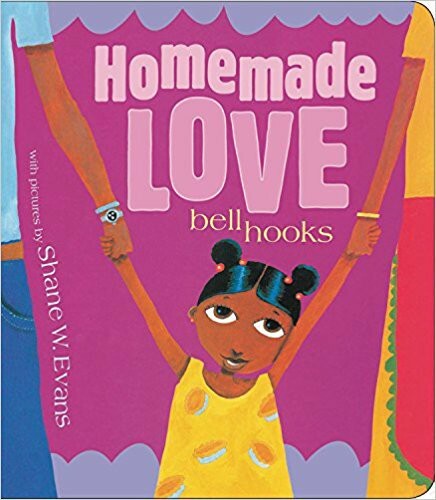 Emilia’s comment made me think of a time when I read a picture book, Homemade Love (by bell hooks, illustrated by Shane W. Evans) with her biracial big brother, Rory, when he was in first grade. As he looked at this loving depiction of a Black little girl with her two Black parents, he said something along the lines of, “I like reading this book about a family with all brown people because maybe someday I will grow up and have a family like that, too.” I didn’t take this statement as a rejection of me as his White mom, nor of our multiracial family; instead, I recognized it as an expansive, self-affirming vision of what his future might hold. When people marvel, or balk, at how many children I have, I acknowledge that there are some parts of parenting a large family that are challenging. But I imagine it would be much harder to parent my children of color if I weren’t raising them with one another as siblings because any sense of racialized isolation or otherness they might experience could be compounded if one of them were the only person of color in our family. There are all sorts of ways that one can feel, as writer Andrew Solomon puts it, “far from the tree”, within the families that raise us. As their White mom, I’m particularly committed to nurturing my children of color’s sense of belonging and stability in our predominantly White extended family. 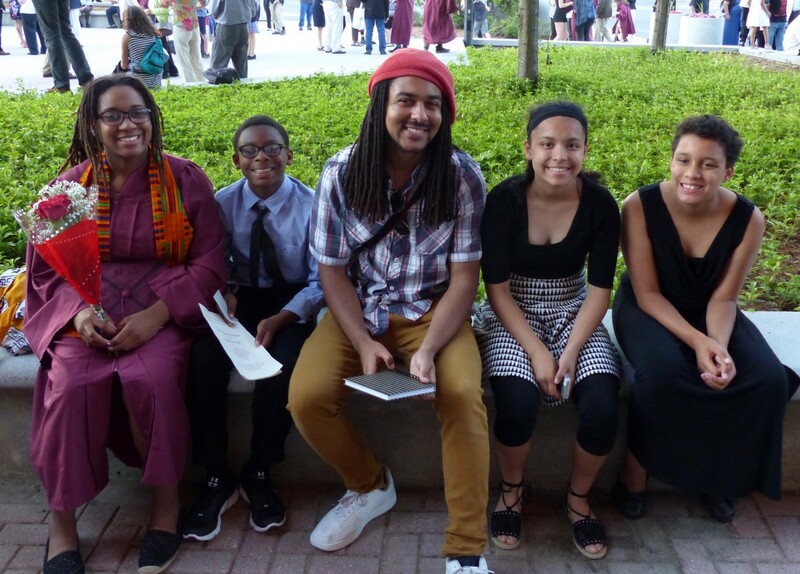 But I also know I need to give them space to assert the ways in which they need neither me nor their other White family members, but one another, or their soon-to-be uncle, or other people of color in their lives, to help them navigate their development into the adults they will become, within, and outside of, our extended family. I wrote more about this memory of shared reading and about depictions of diverse family constellations in this 2008 piece for the Horn Book Magazine, “Reading about Families in My Family”. EmbraceRace is a multiracial community of people supporting each other to help nurture kids who are thoughtful, informed, and brave about race. Join us! Like us on Facebook and sign up for our bimonthly newsletter.